Tech it Issie » iOS 11 has Arrived! 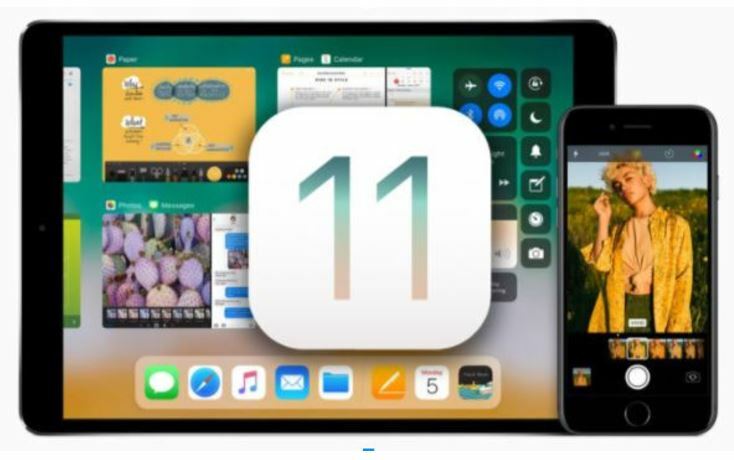 A new dock and control center, screen recording, a new files app… these are just a few of the new features introduced in iOS 11. Before we outline some of the new features, it is important to note that, as with any new update, we recommend waiting a little while before updating, to see if any major bugs are reported. This is especially something to keep in mind if you use, or work with people who use, apps for communication (AAC). Check your online communities to see if anyone is reporting major bugs and definitely backup your communication boards. With this update, we also say goodbye to many tried and true older 32-bit apps that are no longer supported by the new operating system. To check how this affects you, go to Settings > General > About > Applications. Here you will see a list of apps with pending updates and those without. Some of these apps may come out with an update in the future and some may be gone for good. If an app you love appears on that list you can contact the developer for more information. 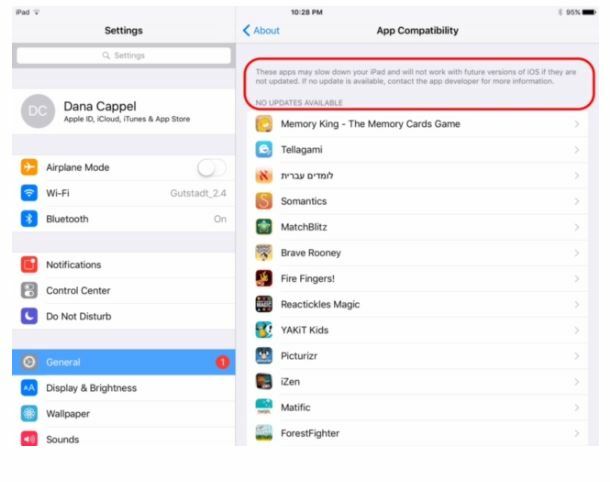 Apps that are not supported by iOS 11 will not be erased from your device but will not work and may not open at all. In addition, they will no longer be visible in the App Store. Enhancements to Switch Accessibility. Read more about it here. For students who use the iPad as an educational tool, the following features can be very helpful with organizing information and improving workflow. Enhanced Dock – the dock can hold more apps and they are active. A long press on an app in the dock opens quick access options. Also, items can be dragged and dropped straight into apps in the dock. For example, a long press on a photo when in the photos app, will allow you to drag it into an app in the dock, say…Pages. Customizable Control Center – Control Center has changed its look and users can choose exactly what they would like to have access to in it. A full swipe up from bottom to top will bring up the Control Center and the app switching view, which has also changed its look. The ability to customize features is always a welcome feature! Screen Recording – there is finally a native option for recording what happens on your iPad screen. The ability to record your iPad screen can be a great tool for teachers but it can also be a great tool for students…it can be used for peer-to-peer learning, in projects and presentations, and just for fun. To enable this feature you need to choose it to appear in Control Center. Go to Settings > Control Center and choose screen recording. Multitasking – allows the user to work simultaneously with 2-3 apps open at once. We have already started exploring the new features and all the fun things we can do with them. Take a look at this video, recorded using the new Screen Recorder, of our speech therapist sending a message she recorded on her AAC app and sending it, using the new multitasking options. This is going to be fun! Let us know what new features you love.